Regional collaboration, preparedness and a reprieve from Santa Ana winds were among the factors that helped firefighters limit destruction from the Lilac Fire, which burned 4,100 acres in North County from Fallbrook to Oceanside in early December, according to a county report released Friday. 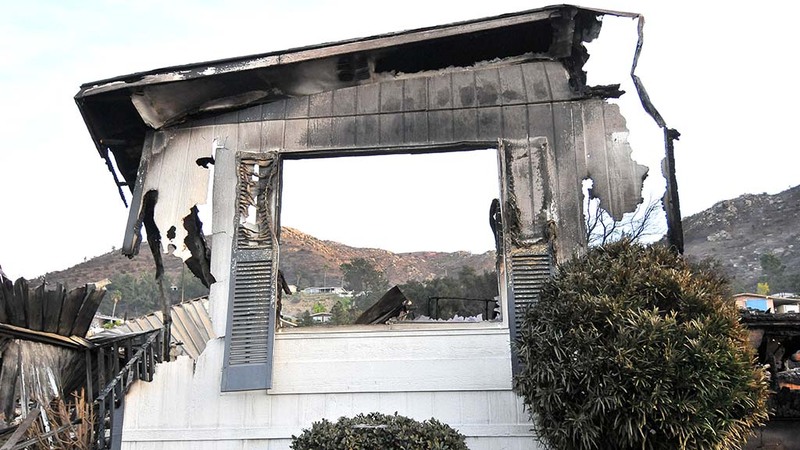 The 108-page “after action” report was completed to document and evaluate the county’s response to the fire, record the loss of life and damage and includes several recommendations to help improve further fire responses. It does not include a finding on the cause of the blaze, which is still under investigation. Authorities had a warning that conditions were prime for wildfires before the Lilac Fire broke out on Dec. 7. Following a forecast of severe Santa Ana winds and single-digit humidity, Cal Fire and the San Diego County Fire Authority called in extra personnel and worked together to mobilize an air- crane helicopter and coordinated with military aircraft that would end up being used to help extinguish the fire. The county also activated the Emergency Operations Center in Kerney Mesa the day before the fire, which helped with the quick response, according to the report. Two people suffered serious burns while trying to help hundreds of horses at the San Luis Rey Downs training center. More than 45 horses perished. The Lilac Fire destroyed 114 houses and damaged 55, but had the potential to level more than 1,000, according to the report. Two business structures were destroyed and five were damaged. Ninety other buildings, such as sheds or barns, were destroyed and 20 were damaged. The county estimates it spent $5 million in response to the fire and expects the state and federal governments to reimburse some of that cost. Cities and state agencies incurred costs, as well. — identifying additional large animal shelters for horses and livestock in case the Del Mar Fairgrounds, where the surviving San Luis Rey horses were kept, is at capacity or unavailable due to a pre-scheduled event.